You’ve been doing everything right! You’re cutting calories, swapping out fried chicken for salad, and working up a sweat in the gym. Yet still can’t lose weight! What gives? Is something wrong with the scale?. Is something wrong with me!? Don’t give up just yet. 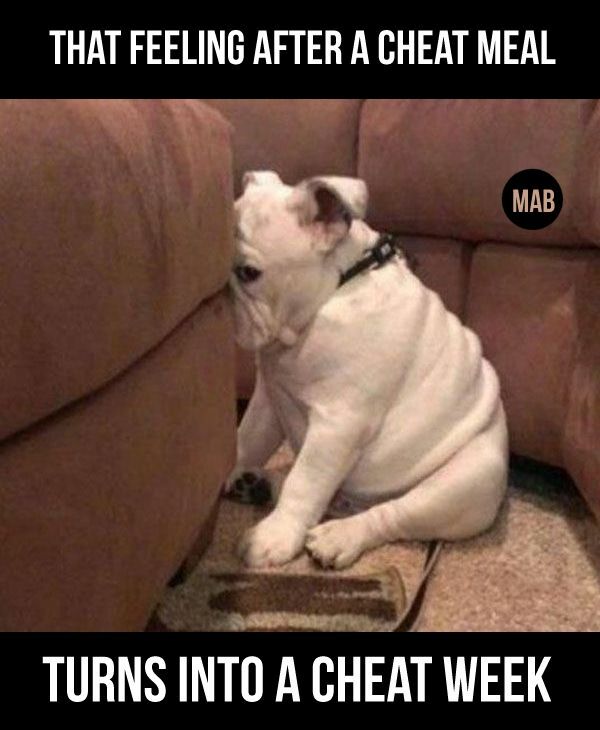 Weight loss can be a tricky journey. It goes far beyond calories and exercise. It’s a complete lifestyle, and one little crack can affect your weight loss progress. 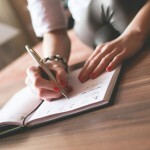 You may be carrying around some underlying habits that aren’t so easy to pick up on. If you feel you’re doing everything possible but still can’t lose weight, see if any of these unexpected things are getting in your way of weight loss. Healthy food doesn’t give you the green light to eat as much as you want. Healthy food still contains calories, which can add up quickly. Thus, it’s important to practice portion control together with a healthy diet. You want to be particularly cautious about healthy yet energy-dense foods such as nuts, nut butters, avocado, olive oil and dark chocolate. These foods are nutritious, but still contain a lot of calories, so beware about how much you eat. Pay attention to serving sizes on food labels, and stop when you are satisfied, rather than overfilling yourself. If you think a few gym sessions will make up for that nightly bowl of ice cream, you’ve got it all wrong. The simple truth is that you can’t out-exercise a bad diet. In fact, most people overestimate their calorie burn during a workout, and overcompensate by eating more food than they actually burned off. Further, unhealthy foods won’t give you the energy to perform your best during a workout. Remember, there are no short-cuts to weight loss. Instead of overdoing one thing, set a balance of both diet and exercise. Believe it or not, sleep may be a reason why you can’t lose weight. A growing body of research has linked sleep curtailment to higher risk for obesity. Experts link sleep deprivation to higher levels of the hormone cortisol, a stress hormone that promotes fat storage and sabotages other hunger-regulating hormones. Sleep also has an impact on mood, energy levels and motivation, all of which can have an effect on your weight loss journey. So, make sure to set sleep as a priority. The Sleep Foundation recommends the average adult to aim for 7-9 hours of sleep per night. Just like with sleep, stress increases your body’s use of the hormone cortisol, which converts food to fat rather than fuel. In fact, stress is linked to a particularly dangerous type of fat gain – belly fat. Belly fat is linked to increased risk for heart disease, diabetes and other types of metabolic diseases. If you have trouble dealing with stress, check out this article on 3 Ways to Cope with Stress. Did you know that what you think about while you’re eating has an effect on your weight? 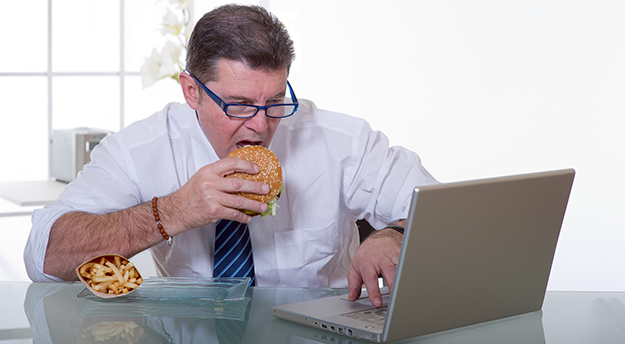 That’s right, distracted eating may be one reason why you can’t lose weight. Eating while you are focused on other things (e.g. your phone, work, television) can cause you to overeat. Get rid of distractions and start eating mindfully to avoid overeating. Calories aren’t bad; they provide your body with energy it needs to survive. However, not all calories are created equally. Try and avoid eating ‘empty calories’ (e.g. 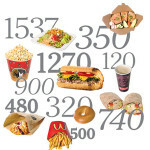 calories from foods that contain no nutritional benefit). Things like potato chips, white bread and pastries are a few examples. Stay away from sugar-laden starchy carbs and instead fill up on foods that contain fiber, vitamins and minerals. If fruit is healthy, juice must be healthy too, right? Wrong! 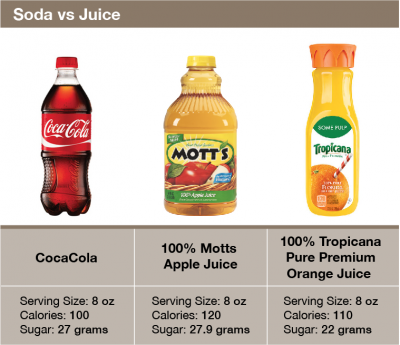 Fruit juices and other soft drinks are typically loaded with harmful added sugars or even just natural fruit sugars in concentrated form. Sugar-sweetened beverages are one of the empty calories we discussed above. Don’t believe me? Check out this infographic to see just how much sugar is in your beverages. 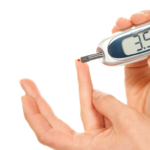 Sugar increases your body’s production of insulin, a hormone that increases fat storage within the body. Instead of drinking your fruits, eat them! When it feels like there’s not enough time in the day (and let’s be honest, that’s most days!) it’s so convenient to grab a pre-made meal from the freezer and throw in the microwave. Voila, a dinner in less than 10 minutes! While the convenience factor is great, these microwave meals are loaded with a potentially weight loss stiffing ingredient: sodium. Research suggests that eating just 1 extra gram of sodium per day is associated with a 25% increase in obesity risk. If you want to save time in the kitchen, don’t do it with microwavable meals. Instead, plan and prep your meals ahead of time, and don’t be afraid to reuse leftovers from the night before. You will eat what you have available in the house. No matter how good your intentions are, if your house is filled with cookies, ice cream and soda, you’re sure to eat them! You know what they say: “Out of sight, out of mind.” Get rid of the temptations and instead keep your house filled with fresh ingredients, real food and lots of healthy snacks. Being too strict with your diet can actually be your downfall. A big reason why people can’t lose weight is because they start out way too strict. When you completely deprive yourself of the foods you love, chances are you won’t be able to sustain such a strict diet for the long term. You will give in somewhere down the road and that one “cheat” may turn into a full cheat day or even a week. It’s OK to make room for the foods you love. In fact, it’s necessary! Just do it in moderation. If you can’t lose weight, check to make sure you’re drinking enough water. Water may help boost your metabolism, cleanse your body of waste and suppresses appetite. Most health experts recommend drinking around eight 250ml glasses of water (2L) per day. When people think of weight loss, diet and exercise are often the first things that come to mind. Whilst those are important factors, remember that weight loss is a complete lifestyle journey. If you’re stuck and can’t lose weight, check some of these underlying habits to make sure their not stunting your fat-burning progress. 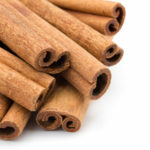 Cinnamon: A Spicy Solution for Diabetes Treatment?